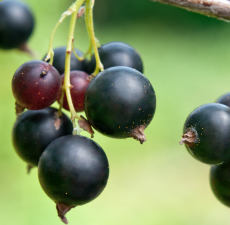 Black Currant Seed Oil (Ribes Nigrum) - Sweetgrass&Rain Inc. The valuable oil of the black currant plant comes from the seeds of a deciduous Eurasian shrub. Blackcurrant Seed Oil is rich in gamma-linolenic acid, an important ingredient for maintaining the elasticity of the skin. Black Currant is easily distinguished by the strong perfume of its buds and leaves. This shrub shows the only instance of a process by which double flowers may become single by changing petals into stamina. Blackcurrant Seed Oil can be an effective addition to formulations for dry, damaged skin.